I've spent a majority of my life seeking validation. If you're familiar with the 5 Love Languages, my #1 love language is Words of Affirmation. If you're not familiar with the 5 Love Languages - take the test! Learn how you and your spouse speak in love - it's a game changer!! Being a woman who craves affirmation to feel loved and fulfilled, it's absolutely no surprise to me that I wasted so much time desperately looking for validation. The two, while so different, can go hand in hand - validation the evil twin to affirmation, or at least it can feel that way, can't it? I want my opinions, my feelings, my ideas, my heart to be met with approval, and when they're not, my heart can easily be crushed if I allow it. I suppose anyone can feel this way, but when it is the primary way my heart feels valued, it can be easy for me to feel stepped on. I'm emotional and sensitive and neither of these things are bad or wrong - God has made me this way and I now fully embrace these qualities. But how do I stop these beautiful qualities from turning on me? The difference between affirmation and validation is quite simple - validate me and make me feel right - affirm me and help me feel encouraged. You can affirm someone even if they are wrong, by loving on them. Jesus did this beautifully when He took the path through Samaria and met with the woman at the well. 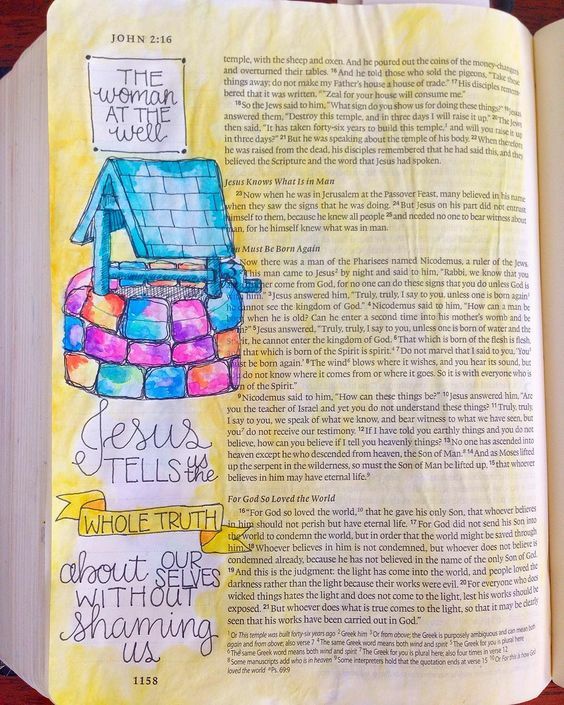 This is one of my favorite Bible stories, and it makes my heart soar to see Jesus be such an activist for women. You can find this amazing story in John chapter 4. There's a lot of cultural context that is important to know in this story - Jews and Samaritans did not get along, and in this time, for a Jewish man to seek out a Samaritan, let alone a Samaritan woman - you're looking at something more scandalous than a daytime soap opera! The woman went to the well to get her water during the time of day no one would be there. Isn't it like us all to isolate ourselves while we are deep in sin? Jesus tells her that He can give her living water, and this girl has no chill. I love the Bible and read it in my own tones, and the way she speaks to Jesus is full of annoyance and sarcasm. He's beating around the bush and she just wants to be left alone. She may be my spirit animal. Trust me, you want to read this story! Jesus then mentions that He knows a thing or two about this woman - she has had five husbands, and she isn't married to the man she is living with now! You may get a tad judgy reading this about the woman, I did, too. Until I realized - I am the woman at the well. And you might be, too. After all, haven't you ever found yourself seeking happiness in all the wrong things - another person, material possessions, money, circumstances...? I wanted so desperately to feel loved, and validation was my game. I thought I could find this in men - after all, I've seen all the rom com's and knew this is how life was supposed to work. At a young age, I gave my heart away to boys and became whoever they wanted or needed me to be. A chameleon, I quickly gave myself away before I was able to take any true time to find out who I really was. I hurt a lot of people and truly wounded myself in the process because I didn't know any better. That's not an excuse - I wasn't taught better principles, and clung to what I thought was the right thing. But how could anyone love me for who I really am, when I pretended to be so many different people all the time? I never knew the details of my own heart, just that being complimented made me do some really stupid things. How easy it was to fall into traps such as these. What I wish someone had done was hold my hands and wipe my tears and explain to me why Jesus chased the woman at the well. Jesus had mending to do. And how like Jesus to use a broken, promiscuous woman to change her entire town. Once He explained to her who He was, the woman ran back to Samaria. "Come and see a man who told me everything I ever did! Could he possibly be the Messiah?" (John 4:29). Not once did Jesus condemn her. His heart was not full of judgment. I believe He wanted to prove that even though He knew all the sinful, broken, painful things she had done - He still pursued her, loved her, encouraged her. What took her years of searching for validation, took Jesus mere sentences to affirm her heart. There's something so special and genuine about someone knowing all your messy, flawed pieces, and loving you fiercely anyway, isn't there? This woman's testimony brought many villagers to come to know Jesus, and have their hearts be affirmed, too. How beautiful it is when God uses your brokenness to allow you to love on another human being. Sometimes, your greatest pain can bring your greatest victory. I used to strive for validation, but it wasn't until God showed up and told me who I am because of who He was that I could stop striving - and what happened was incredible! Like the woman at the well, I stopped focusing on how to get blessed and instead just listened to Jesus' promptings. 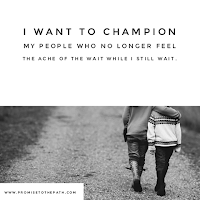 Not only do I feel affirmed through my identity in Christ, but I receive so much confirmation for the very gifts God has given me, and I get to use my gifts and my pain to connect with other people. A wounded heart can so quickly wound other hearts, but a healing heart craves nothing more than to see other people's hearts to be healed as well. Sweet friend, will you allow Jesus to meet you at your well? We all have one, and you don't have to hide from Him. Jesus knows everything you've ever done, and yet He walks up to you anyway, with a smile on His face and love in his heart. Let Him redeem those things you've done. Let Him affirm your heart in only a way He can. Read the whole story in John 4 and see where you can insert your brokenness - He will show you. Don't allow all that pain you've felt to sit there for nothing - it can be used for so much good. Sweet Jesus, I thank you. I thank you for creating me even though you knew every bad decision I would make, and every wound I would feel. Thank you for chasing after me, for meeting me at my well, and loving me fiercely through the hardest times. Thank you for showing me that my mess can be a message, and healing power can come through shedding light onto the darkness. I pray for my sweet friends reading this, Lord, that they would know You if they don't already, and be able to experience Your love and grace in a way only You can do. There are hurting hearts out there reading these words, Lord - may You wreck their thoughts and stir healing in their heart. Let them know they are not alone. Help them find a sweet soul to guide them through their painful moments. Give us the courage to reach out to You, help us be brave enough to cling boldly to Your robe for healing. We thank You, we love You, and we can't wait to see what You have in store for each and every one of us. Amen.